What do you think of cloth diapering or using "lampin" for your children? Did you or do you want to do it because it's more economical, it's cost-efficient or because it's eco-friendly? Actually, it's all of the above. I cloth diapered my first-born using the traditional "lampin" back in 2003. It was natural, it was cool to my baby's bottoms, it was practical and little did I know at that time, that I was already helping save the Mother Earth in my own little way. I realized this even more when Bamboo Dappy, in partnership with WWF and Holy Carabao, invited me with few other fab moms for an intimate tea party to talk about how we could save the environment. Jenny Chua, is the owner Bamboo Dappy. 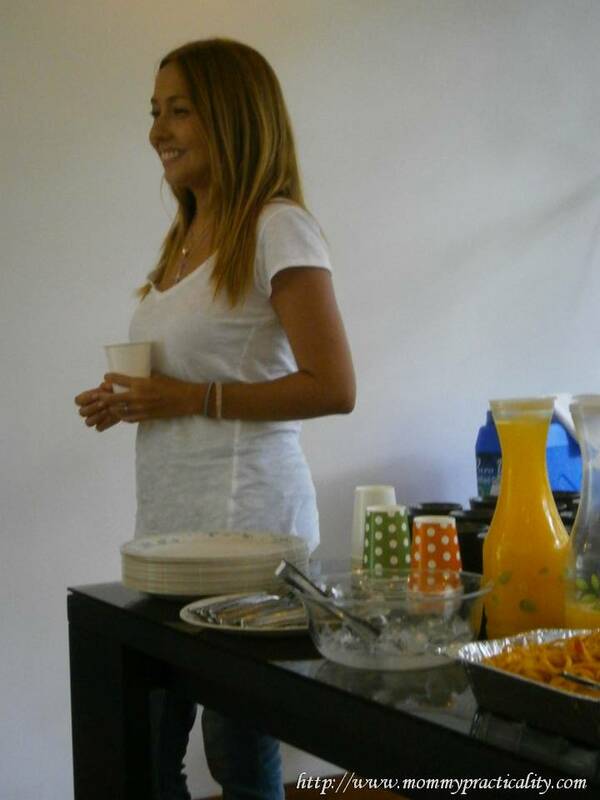 She is a mom of 2 active boys who like most of us used disposable diapers. But after researching realizing that it takes at least 250 years to decompose them, she gave birth to her third baby - which is BAMBOO DAPPY. Bamboo Dappy's line of diapers uses bamboo fabric because of its inherent properties: softer & more absorbent, hypoallergenic and anti-bacterial. It’s also gives better ventilation to babies’ skin. Most importantly, it’s earth-friendly. 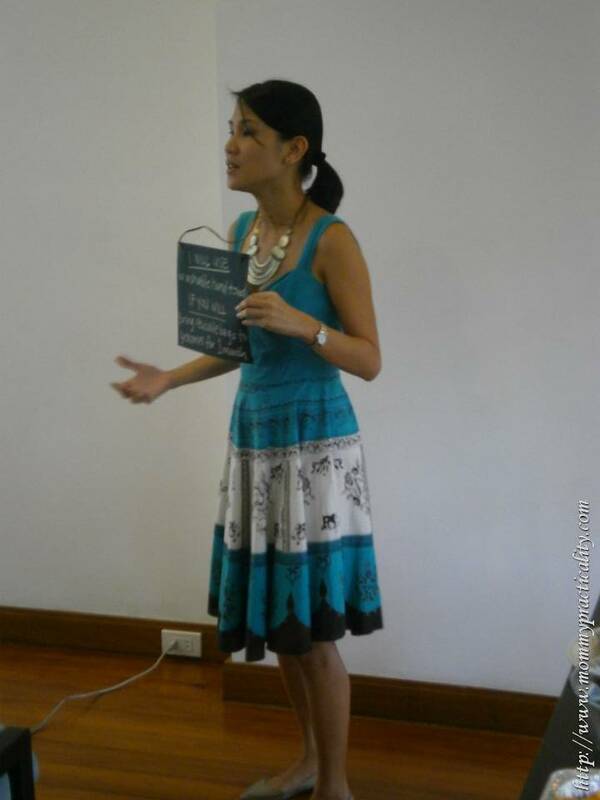 Hindy Tantoco also presented what Holy Carabao is all about. Holy Carabao is a trustworthy source for all organic, healthy and natural goodies. 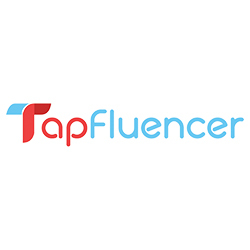 Their products are produced from organic farming which utilizes natural compost and nutrients in place of chemical fertilizers and pesticides to ensure that both the produce and the soil that nourishes it are free from toxins. If you will segregate your trash." Currently, to help the environment, I'm pleased to say that we use eco-bags when shopping, I use a tumbler for coffee and water instead of disposable cups, I use scratch papers for my kids' drawing activities at home, I use two sides of the paper when printing at work, and I turn off lights and unplug electrical appliances when not in use. These little things I do go a long way and I pass them on to my kids to help create a still live-able, breathable and cleaner environment for them and their own children or grandchildren. It was a star-struck moment for me to meet one of my blogger icons, Mommy Fluer! Glad to meet new friends as well such as Vim, who shares the same desire to help save our Mother Earth. The small group of moms and a dad bloggers during the Bamboo Dappy Tea Talks who all pledged to do their parts to help heal our environment. 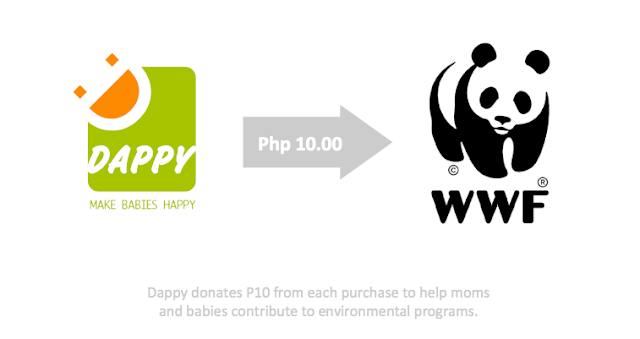 Check out Bamboo Dappy's website or their Facebook Page to know more about their cause and their eco-friendly products. How about you? What are the things you do to help conserve our environment? I first read about the disposable diaper story from the makes of Human Nature products. It may be convenient but the users are truly damaging the Mother Earth unknowingly. 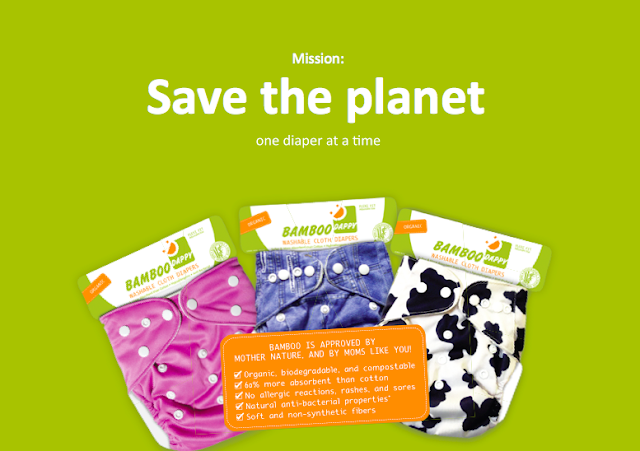 Sana someone would invent a diaper that is not as damaging to the environment. I'm doing the things on your list although they seem like little things, it's a start. I do on occasion buy plastic bags for my groceries, because we have to pay for it now, because I use them for garbage. I don't know how to solve the garbage problem just yet. Hopefully, our building segregates the trash. The designs are so cute! We are selling cloth diapers too. Mommy and I were really an advocate of cloth diapers. i am trying to help save the environment as much as I could. Somebody told me that there's a washable diaper at Trinoma for P65 only. I want to give it a try. For mother nature...hmm let's see...I wash all my clothes by hand (good for the biceps pa hehehe), I don't watch TV at my pad, I walk to and from the office (no car eh hehe), I don't print articles and stuff unless necessary, I bring along my shopping bag so I don't have to buy plastic shopping bags, I never throw trash in the streets, and I try to support causes like the NatGeo Earth Day Run this Sunday...there's a lot we can do for the environment if we just take a look around. Great to see that they are making effort to preserve the earth. This is a good cause. Everyone must take a part in preserving the environment. I love plants and I always grow more in my house yard. I also recycle plastic bottles. Simple ways but a concerted effort from everyone will do wonders. I think I'll consider cloth diaper in next time I'll have another baby. i use lampim when the son is still a baby.. anyway, this is a good post something that we mommies we should be aware.. 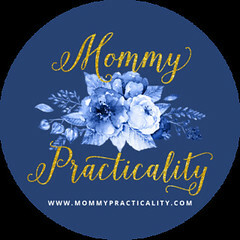 I am checking out their site now since I am thinking of switching to cloth diapering, although it's a little too late, but my youngest always has rashes kasi. I used to use lampin with clamps on my eldest when she was a baby. 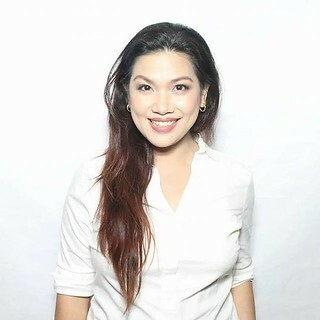 Ang gorgeous nmn! I like this repurposing water bottles! I used cloth diaper as a baby. hehe I can imagine the trash caused by disposable diapers. Hi Louise, too bad we didn't personally met. anyway hope to see you on next parenting events. its a blessing to know that many people are trying to save mother earth. thanks for the tips on how to do our part. I almost switch to cloth diaper for my 2nd daughter. Kaso sobrang inconvenient for a work at home mom like me who has no helper. But in other ways, I try to be good to our environment too. I use basket when I shop at Tabo (Tiyangge) every Saturday for our week's veggies to minimize the use of plastic bags. We also bury vegetable waste instead of throwing them to garbage bags. I never used the cloth diaper kasi inconvenient for a working mom, but I think I should have. I remember throwing thick bags of diapers and feeling a little guilty for what I am doing to the environment. Hurray! Congratulations @Melgie Campbell ! 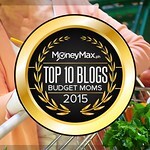 That's great to know @onlinemommy ! Their cloths are really really soft and absorbent sis @Cym Marzan ! I will.. promise @ronleyba ! kaya idol ko rin kayo ni Mommy Maye @DaddyAllan eh! Little things account to bigger things @Jellybelly as long as each one of us do our parts diba?